Everyone knows how difficult the ACT Aspire Summative Test can be. 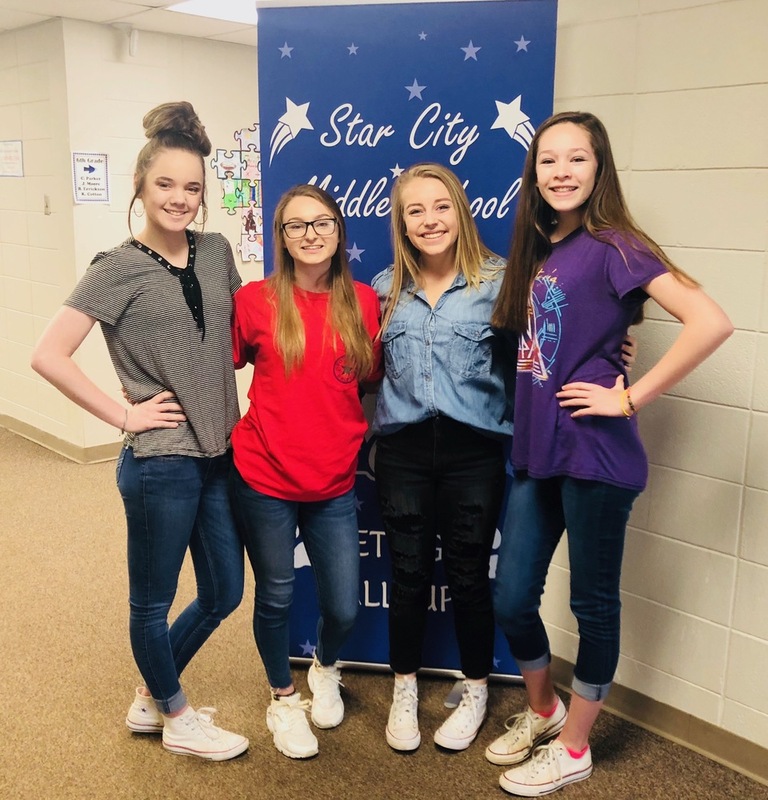 Four 8th grade Star City Middle School students, Savannah Brown, Madyson Owen, Jane Ellen Floyd, and Kiersten Tallent took it upon themselves to take this as an opportunity to motivate students in their school to do their best and ace the test. They decided that it would be a great idea to motivate the students for the upcoming ACT Aspire test by creating a motivational video with successful Star City Alumni and play it at the assembly before the students took their final ACT Aspire test. Robert Wilson Floyd, Co-Owner of Floyd’s Chip Mill Inc.
As an Energy Bus School, Star City Middle School strives each day to create positive energy throughout the school and internally within the students each day. These 8th grade students felt creating a video, Motivation is Key at Star City Middle School was a way to inspire the middle school students to continue this positive energy on the ACT Aspire test. They hope these Star City graduates inspire this generation of middle school students to succeed on the ACT Aspire test, throughout high school, and in their future college and career aspirations.